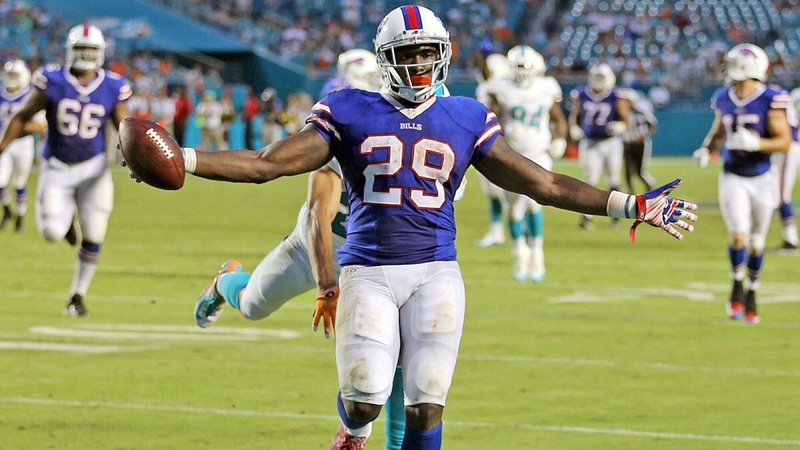 Karlos Williams A Fit In New England? With Dion Lewis undergoing a second knee surgery, the Patriots backfield looks thin without the up and coming Patriot star. The other key running backs that are on the roster includes LeGarrette Blount, Brandon Bolden, James White, Donald Brown, and Tyler Gaffney. In addition to that list of running backs after Lewis, the only running backs on the roster that can fill his void is James White. White caught 40 passes last year out of the Patriots’ backfield, which he actually led Patriots’ running backs in receptions with Lewis catching 36 passes. Now, Karlos Willims is a question and seems like a guy that the Patriots could look at. He does come with a four-game suspension this year and if he is picked up by the Pats, he will have time to get back in shape by being out four weeks of the regular season. He is overweight, but if he wants to stay in this league, he will shed that weight off fast. Furthermore, from a football perspective, Williams has all the tools to be a successful running back in the league. He is a strong bullish runner that loves to run over defenders and leave a mark on their bodies. He is sneaky fast for a big back. Finally, Williams had a good rookie year for the Buffalo Bills last season by playing 11 games and starting three of them. In those 11 games, he ran the rock 93 times for 517 yards with his longest run resulting in a 41-yard gain. He scored seven rushing touchdowns and averaged 5.6 yards per carry. Also, with McCoy in Buffalo, he stole all the receptions, but if given a chance, he is a good receiver. He picked up two scores off of 11 catches for 96 yards (8.7 yards per catch). Note: Williams fumbled once and he picked up a total of 28 first downs. Next Post How Has Blake Snell Fared So Far?